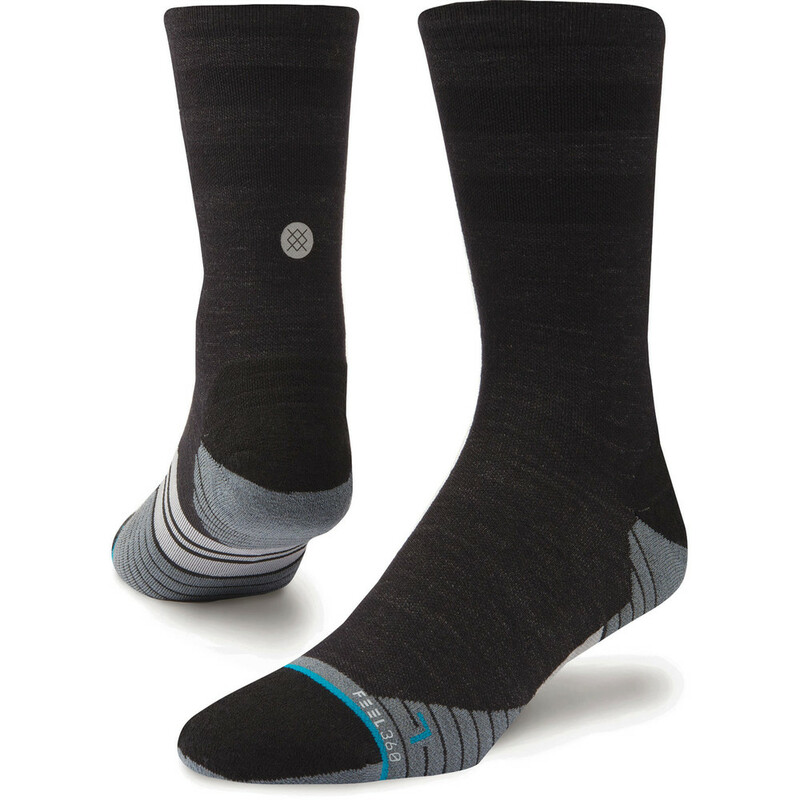 Running socks in cool designs that offer superior performance. These socks are a blend of merino wool and synthetic fibres to keep your foot temperature regulated and feeling warm. To sum up, if you think running socks are boring then give these a try. They feel fantastic on and really have that feeling of not wearing a sock! Stance's FEEL360 technology is a fibre treatment which works in 3 ways to give you unrivalled comfort and performance. Firstly your feet are kept fresh by eliminating 99.95% of odour which causes foot bacteria. Secondly, your feet are kept dry as the sock adapts to body temperature to keep your feet cool and wick away sweat. Lastly, the premium twisted yarn means they are really durable. They are anatomical so fit really well with arch support and a seamless toe box. 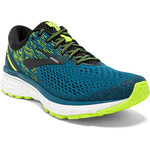 The cushioning is lightweight, not too thick. The heel is y-shaped so it fits perfectly with no slippage. Content: 40% merino wool; 35% nylong; 20% polyster; 5% elastane.